There is a more efficient way to follow a diet plan and balance your meals than manually tracking your food intake. Studies show that exercise alone is not enough to sufficiently fuel weight loss; your diet plays a role as well. But we don’t mean fasting or the latest food fad—just consciously thinking about putting the healthiest, freshest foods into your body (with some dessert here or there). Staying aware of what you are eating can be done by keeping a food journal, or as many choose to do, tracking your food with an app. Food tracking apps, such as MyFitnessPal and My Food Diary, can be great—but tedious. Having to manually fill in every meal can be a long process. If you forget to log one day’s worth of meals, it can be hard to remember what you ate and easy to decide to skip keeping track of your food. FitClick knows the arduous process that can be keeping track of your meals, so they have provided the solution: a talk-to-track calorie app. How does it work? 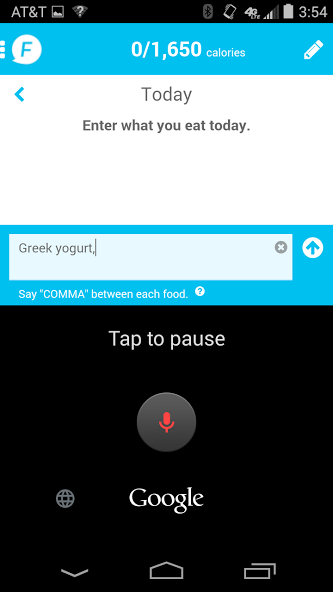 Once you have the app, you click the microphone icon on your keyboard, say what you ate and let the app do the rest. It enters your meals and finds the calorie counts for you. The app is completely free and available through Google Play and iTunes App Store. 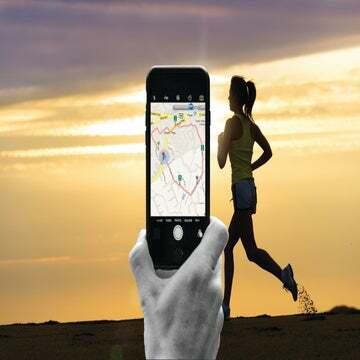 You can use the app to set calorie targets to reach any weight loss goals you may have as well.